Couldn't believe everything I felt. You walked in, you saw me just melt. 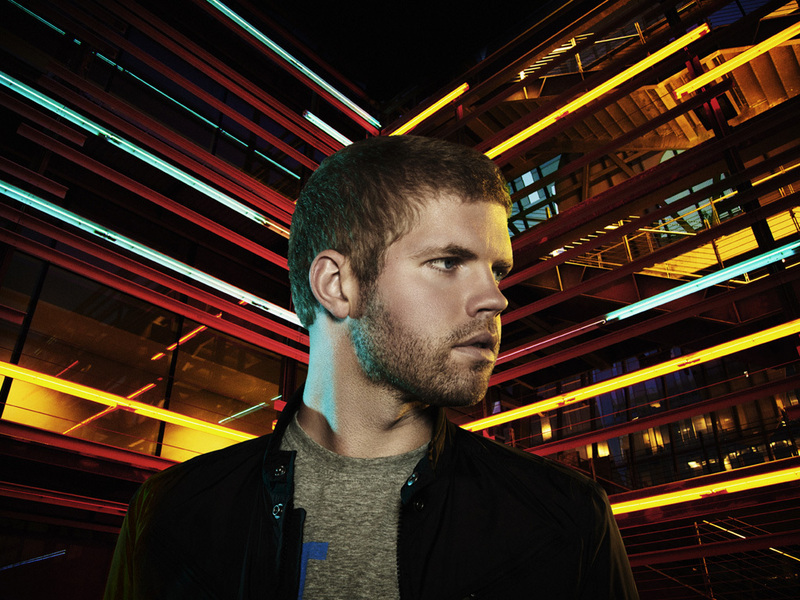 Morgan Page has certainly come a long way from his native Vermont. Leading up to his third full-length album, In The Air, Page has enjoyed many “firsts.” A little more than a month since its release, In The Air surpassed year-to-date sales of his two previous releases - 2008’s Elevate and 2010’s Believe – hosting Page’s first #1 hit on Billboard’s Hot Dance Airplay Chart and his first gold single. Page began crafting this collection in early 2010. In between stints on the road, Page assembled an all-star cast of guests to appear on these original tracks. That cast includes Tegan And Sara on "Body Work" and "Video," Jonathan Mendelsohn and Andy Caldwell on "Where Did You Go?" Greg Laswell on "Addicted", and a powerhouse combination of BT, Sultan, and Ned Shepard and Angela McCluskey (Télépopmusik) on the record's first single "In the Air." The lead track rises from an elegantly enticing electro haze into an infectious hook, moving from progressive house into propulsive pop. While on tour in Montreal, Page visited Sultan, and Ned Shepard in the studio. They played him music that was the basis for "In the Air," and he instantly knew McCluskey would be the perfect vocal fit. Volleying from BT's kettledrum into gorgeous synth swells, the song is as expansive as it is enthralling. Page called McCluskey down to his own studio, and she took an equally unique approach to penning the lyrics. "She sat on my deck clipping out magazine headlines and they became her initial concept for lyrics," reveals Page. "Each verse builds towards a similar theme, and it tells a story. The song is about capturing the excitement of being in the moment." "Body Work" marks the first time that Page has collaborated with Tegan And Sara for a new, original tune. He's remixed numerous cuts for the indie stalwarts, but they actually teamed up from scratch this time around. The results are nothing short of entrancing. Page goes on, "Tegan And Sara tapped into this '80s-inspired feel and went with it. They come from a different mindset, and they wrote these lyrics that people will immediately come back to. Pretty much all of the songs on the record are different mutations of a love song, and they put their own spin on that." There's a story behind every song. Richard Walters actually contacted Page unsolicited for his collaborations, while the album's cover of The Police classic, "S.O.S. (Message in a Bottle)" sees the DJ flexing his own vocal muscles on a vibrant interpretation. With the help of electro impresario Andy Caldwell and vocal sensation Jonathan Mendelsohn, "Where Did You Go?" segues from seductive synths into another massive dance floor-made refrain, while album closer "Addicted" sees Page pushing boundaries again by incorporating the soulful stylings of vocalist, Greg Laswell. Page remains a powerful presence in the electronic music scene. He made a name for himself with 2005's collection of bootleg remixes, Cease And Desist. Getting the blogosphere chattering, he began carving out a niche. In 2008, he dropped his formal debut Elevate, which spawned one of his biggest hits to date "The Longest Road" featuring songstress, Lissie. The Deadmau5 remix of the track was nominated for a Grammy (Best Remixed Recording, Non-Classical) in 2009. His sophomore effort, 2010's Believe, saw him continue to garner even more critical and fan acclaim. The accolades didn't stop there though. In 2011 his remix of Nadia Ali's "Fantasy" received a Grammy nomination for Best Remixed Recording, Non-Classical. In the meantime, he also received four International Dance Music Award nominations, including 2012’s “Best American DJ (North America)” alongside Skrillex, Deadmau5 and Kaskade. While touring and dropping records, Page managed to produce close to 300 remixes for everyone from Madonna and Katy Perry to La Roux and Florence + the Machine. Most recently, he's remixed legends Daft Punk ["Solar Sailor"] and Underworld ["Diamond Jigsaw"]. His other recent remix collaborations include work with Adam K and Bass Kleph. About his remix style, Page explains, "You want to take the mix to a different level; you don't want to simply imitate the original. Daft Punk and Underworld were big influences. They got me into music in the first place so that was such an amazing opportunity." The new album sees Page evolving into an inspirational powerhouse in his own right. He builds his own space in the middle of the pop and electro worlds sonically. He affirms, "This record exists between the club and pop worlds with a little bit of indie thrown in there as well. I wanted to try some new flavors and attitudes, while keeping my sound intact. At the end of the day, it's really about the song. I want to make sure these songs stick in your head. While I was working on the album, I had the chance to road-test a lot of this material, and it was effective for the dance floor." Page has ignited crowds around the world and at crucial festivals such as Coachella Arts And Valley Music Festival (90,000-capacity), Electric Daisy Carnival (142,000-capacity), Spring Awakening Festival (61,000-capacity), Electric Zoo (25,000-capacity) and more. It's not only his first appearance at many of the festivals, but it's also the year that Wynn Las Vegas signed him for a prestigious yearlong residency alongside other artists like Tiësto, Deadmau5, Afrojack and Steve Aoki. "Touring really changes your sound," he adds. "The more you play live, the more you see what's working globally in different venues. You sculpt your sound around how the crowd is reacting. At the same time, the live show is definitely evolving too. There will be a lot more audience interaction and production value on the upcoming tour... It's important that people have a good time and come back for more." With In The Air, the Los Angeles-based artist strikes a brilliant balance between kinetic house music and blissful, radio-ready pop. Touting club anthems with the right dose of indie and pop flourishes, Page creates a danceable, diverse, and deep collection of songs. "I want people to play it over and over again," concludes Page. "I want them to sing these songs back to me when I'm playing live. I want to make music that lasts."